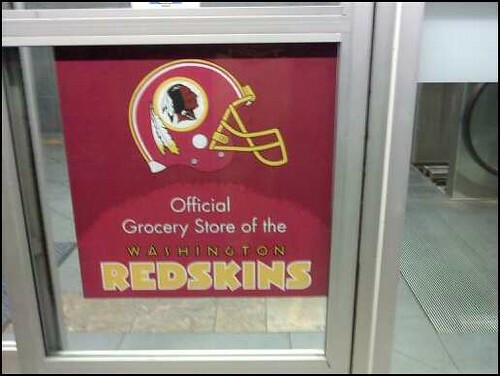 ARLINGTON, Va. — I have been critical of the marketing of the Washington Nationals in the past, so I thought I would share a positive sign. 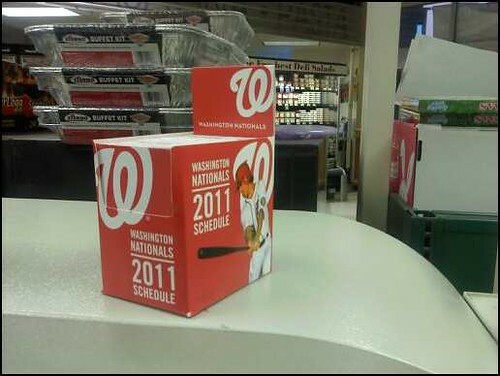 For years, I’ve wondered why I can’t find a Nats pocket schedule anywhere but the ticket windows at Nationals Park. I am pleased that this season, Harris Teeter, the team’s official grocery store (like this one in Ballston) is making pocket schedules available. I am not pleased that the font office learning curve is a sphere though — this should not have taken six years.